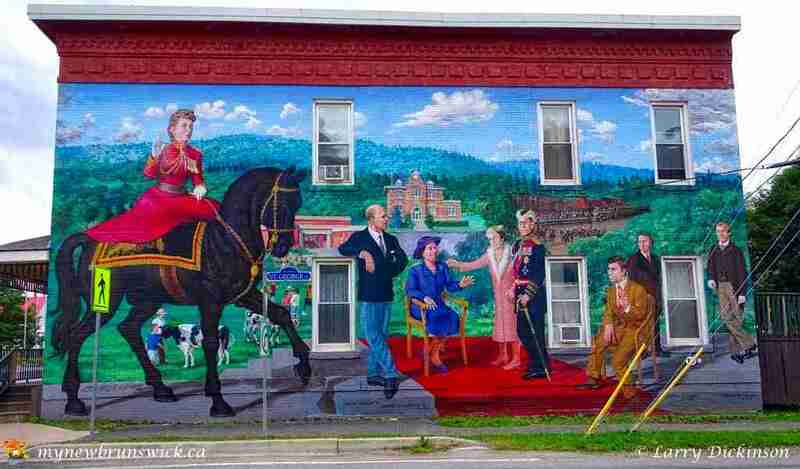 On a rainy Sunday afternoon in April 2004, the Gulmans, then owners of Jonah Place Bed & Breakfast Inn in Sussex, recalled their visit to the town of Chemainus, BC and the local Festival of Murals, celebrating the town’s local heritage. Chemainus had created a top Tourism attraction done in a very subtle, almost modest kind of way. 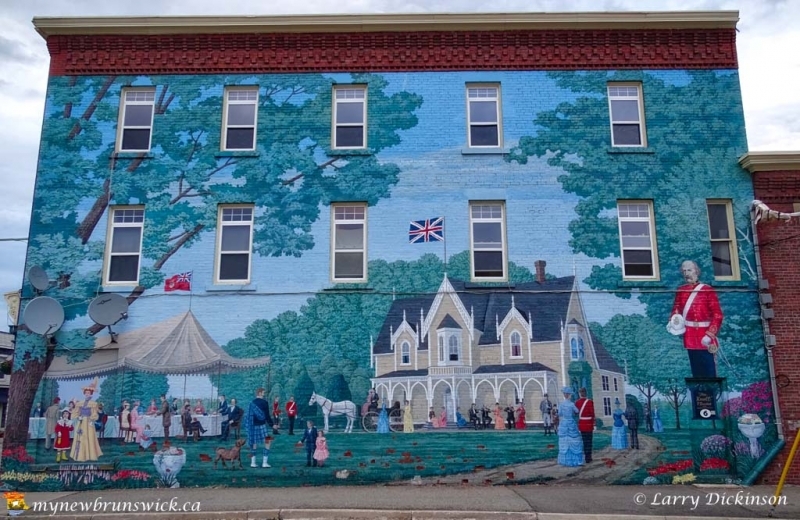 Calling itself “The little Town that Did” and facing a boarded up town after the local mill closed down, the Festival of Murals was created in an effort to give the local economy a boost. 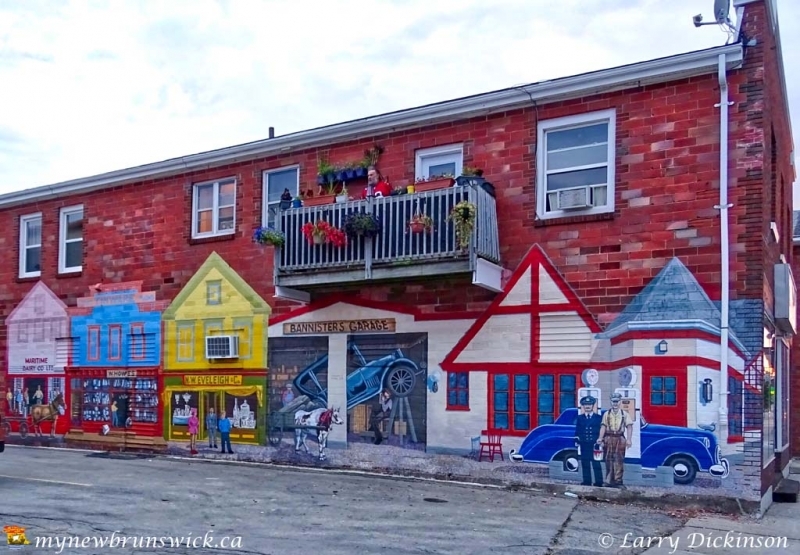 Sussex, NB today, like Chemainus, is a thriving little town, with lots of quaint shops and ancilliary businesses. 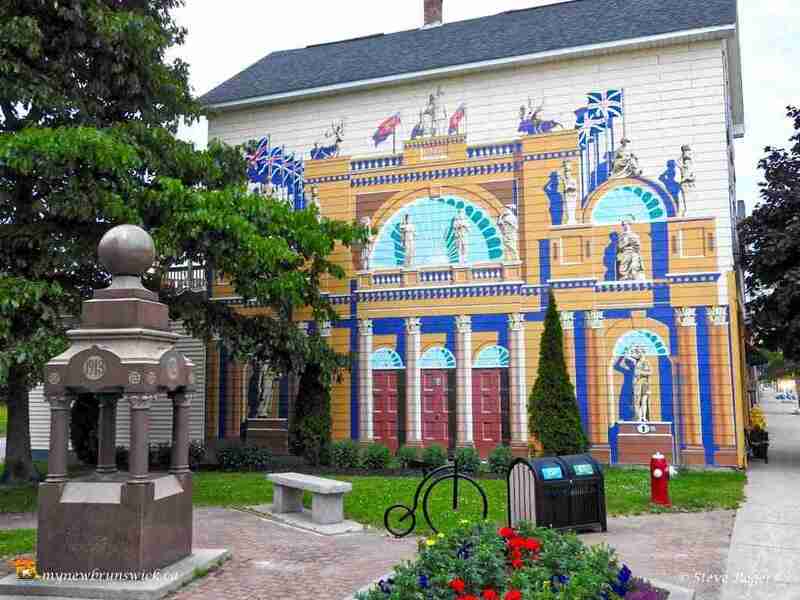 Thousands of visitors come year round to admire the murals. The best part is the town has not lost it’s identity and managed to preserve that “local” feeling. The Tourism Industry worldwide and especially in the province of New Brunswick has continued to face many challenges over the years. Many visitors still have found their way to Sussex, however, nobody can take tourism for granted. Two million people annually pass Sussex on the Trans Canada highway, but with only a limited vacation time for the average family, small locales must have something unique to offer in order to convince those travelers to make a stop. 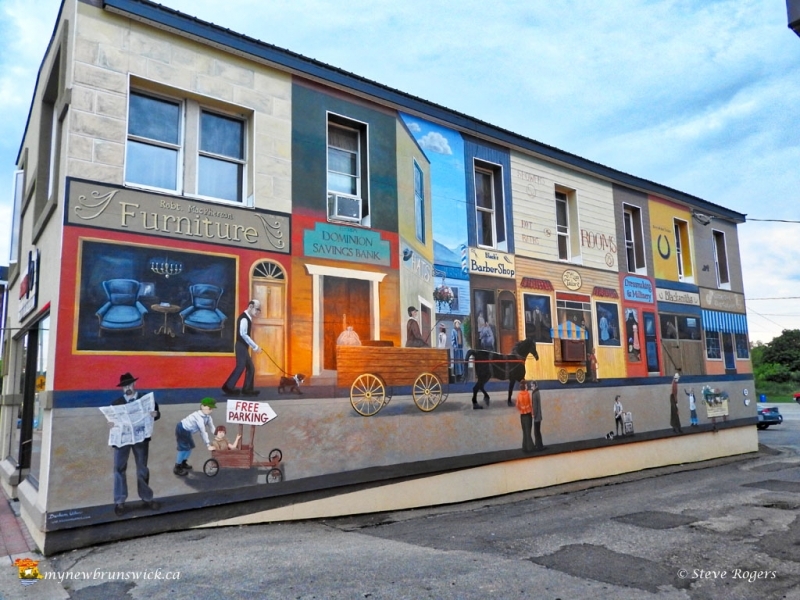 With that in mind Gulmans suggested the idea of Murals on our town walls as a way of promoting Economic Development in the area. This culminated in the formation of the Kings East Development Partnership Inc. (KEDP), whose founding members were the Town of Sussex, the Village of Sussex Corner, the Local Service Districts, the Sussex and District Chamber of Commerce, the Downtown Business Association, the Kings County Tourism Association and Enterprise Fundy with a representative appointed to the original board from each of those entities. 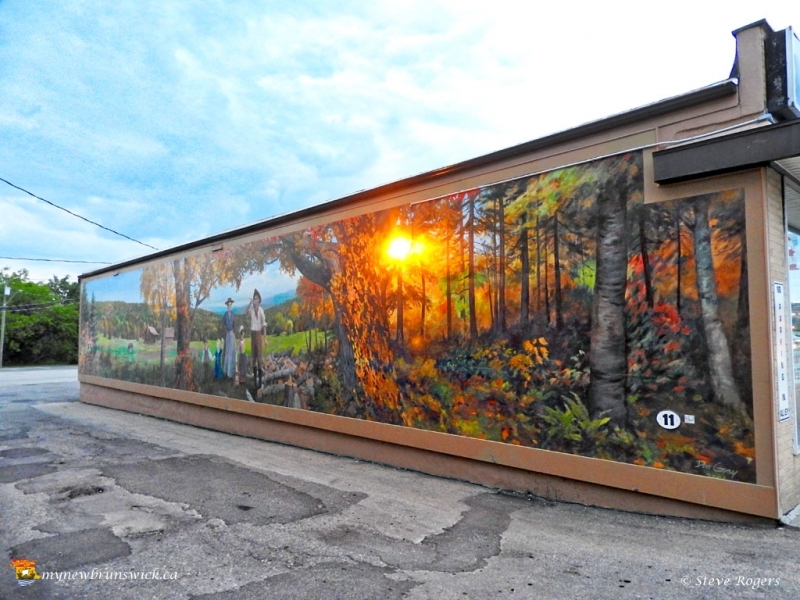 KEDP immediately embarked on an grant application process to ACOA resulting in approximately $500,000 being received and earmarked for a Mural project. A tender exercise to artists worldwide, resulted in applications from many with the required skill sets, interested in participating. 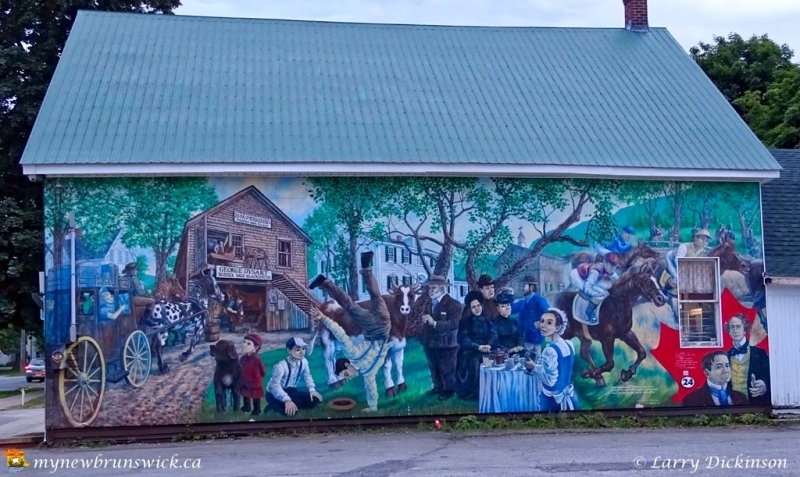 Following an interview process by the KEDP Board, artists were hired and the history of Sussex was painted on the Town and Village walls. 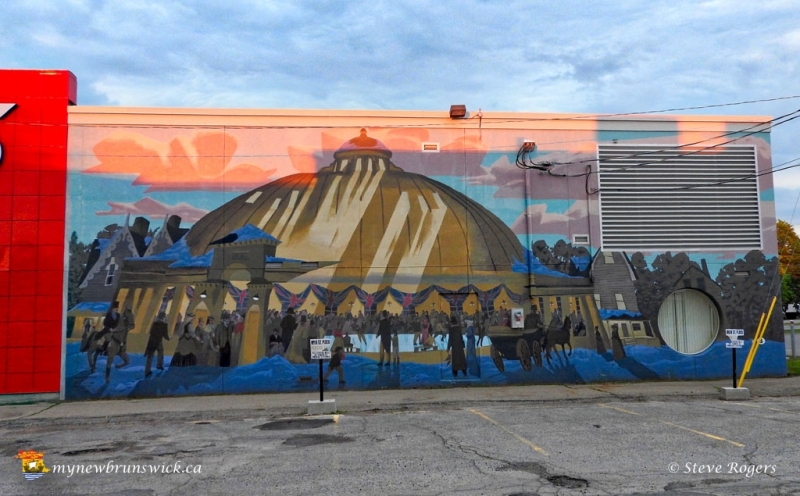 Since the start of the Mural Project in December of 2005, twenty six official murals have been completed. More ideas for future murals come before the board from time to time and go through an approval process developed in 2013. Through that method consistency and continuity will be maintained for future additions. 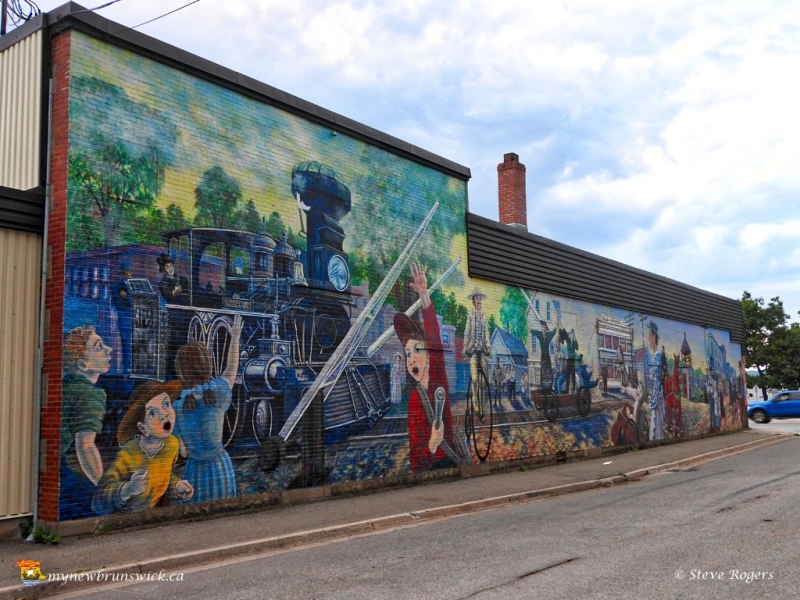 The Murals are copyrighted and trademarked under the official moniker of “Mural Capital of Atlantic Canada”. Although the membership of KEDP now rests at five, a lot of work has been done by a small, very dedicated group of six directors, who continue to “Imagine the Future” for the area by suggesting worthy projects for consideration to local authorities. 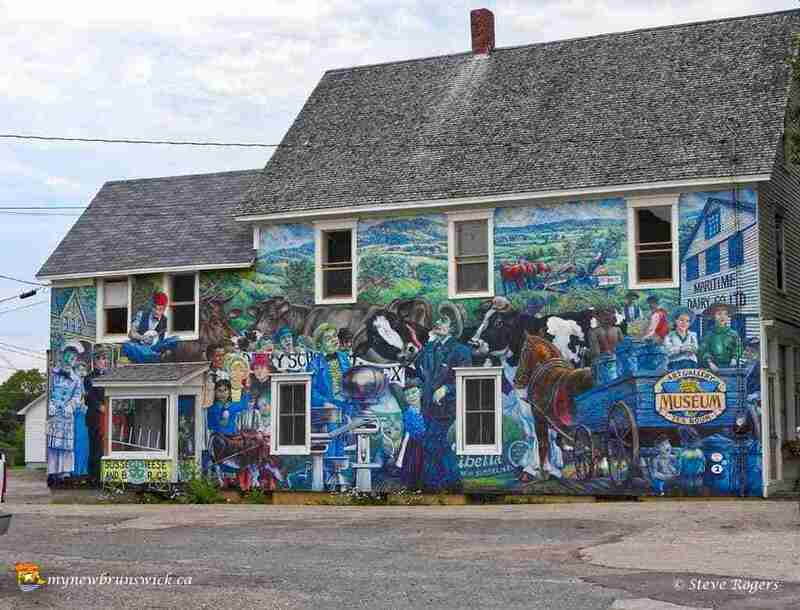 Sussex, NB – “The Snappy Fire Department of the Maritimes” by Michael O’Connor, Thunder Bay, Ontario. 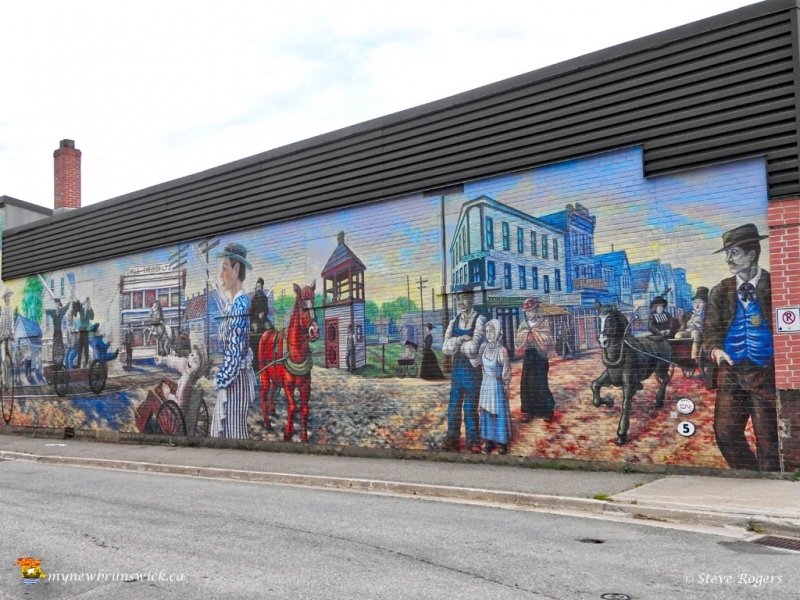 The whole “mural journey” that led to the creation of these works of art and the great pleasure of working closely with talented mural artists, has provided a lasting visual testament to the history of the region for both visitors to and locals of our beautiful community. The enjoyment created will continue now and into the future on a daily basis by many. The Town of Sussex is centrally located in the rolling hills and wide-open spaces of southern New Brunswick and definitely worth a stop! 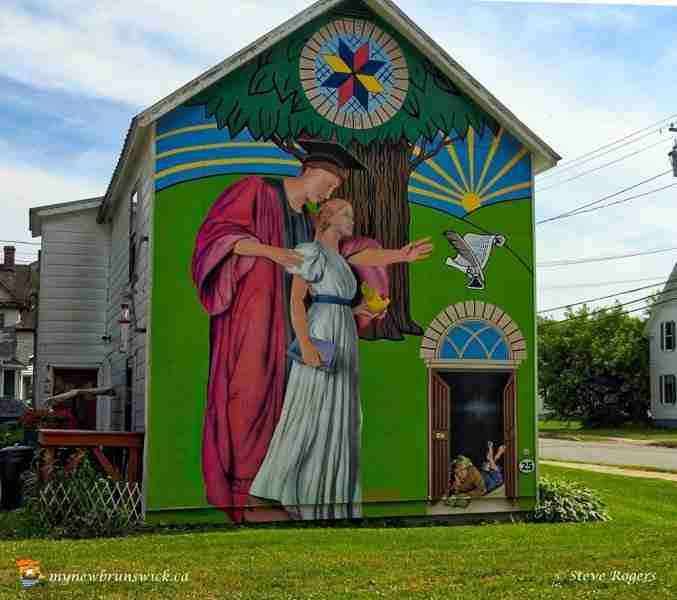 Click on a thumbnail to see more Sussex murals. This post has already been read 2583 times!